After having done MANY VR experiences, to say I’m jaded is an understatement. The quality of VR is very hit and miss and I have had my fair share of terrible experiences. But when I heard that Jon Braver of Delusion was working with Skybound to bring one of his original works to life within the realm of VR, my ears perked up. 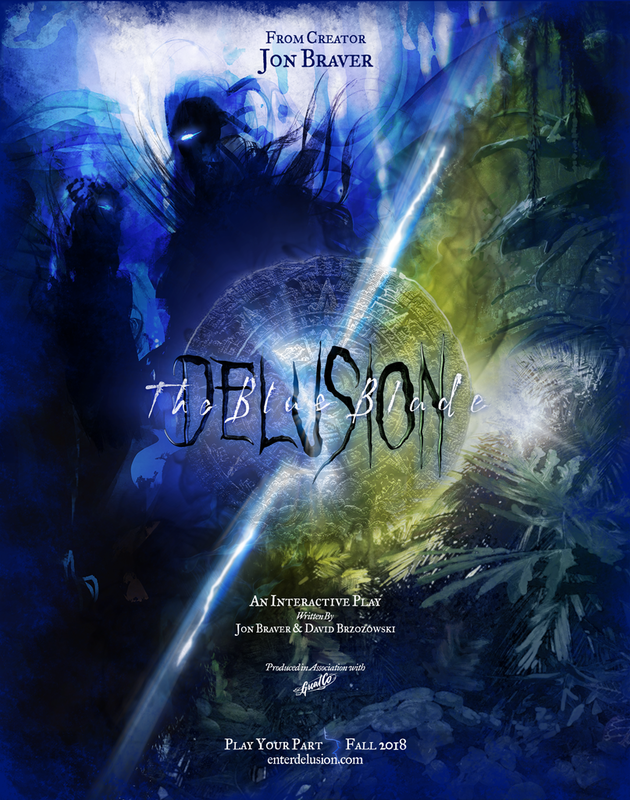 If you are unfamiliar with Delusion, in 2011 they set a new standard for live theatre by creating theatrical stories that incorporated the audience as active characters through the experience. It’s dark and creepy atmosphere, that’s present throughout it’s iterations, sets itself apart from the competition. Since 2016, Nikki and I have quickly become fans of Delusion when we attended His Crimson Queen. Even someone like Nikki, who hates interaction on that level (you should see her at Ghost Town Alive) was sucked into the story and for a moment, forgot about the real world and lived within Jon’s imaginative one. The biggest compliment I can give Delusion is that it’s startling moments aren’t created through cheap jump scares. Jon works incredibly hard to build a world (with impressive original scores, stunts and creature effects) that helps sustain a level of suspense throughout the experience. Nothing is better than the sudden realization that you have been holding your breath far too long because you believe in the story that is taking place around you. 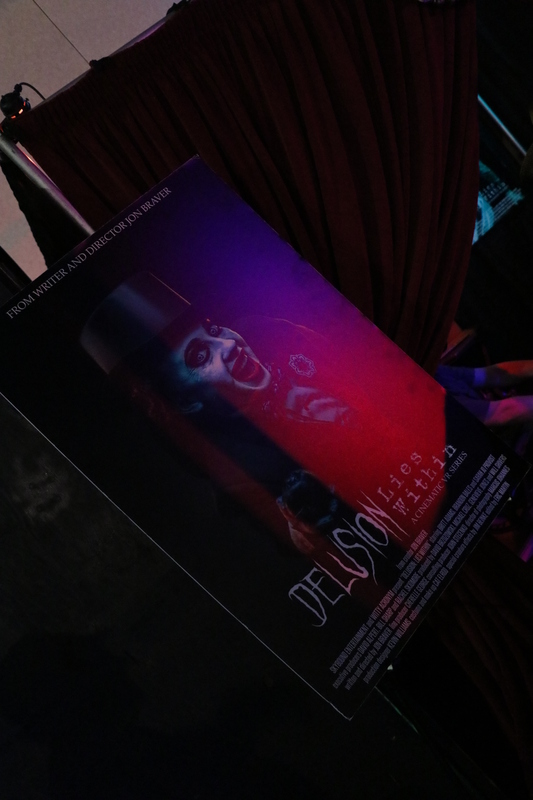 Deep within the confines of The Hall of Shadows at Midsummer Scream 2018 you would find Jon Braver and his newest creation for Delusion, Lies Within: A Cinematic VR Series. Every 30-40 minutes you would see people walk in and out of his booth, removing a VR (virtual reality) headset with their jaws on the floor. This only got me more anxious to get my hands on the headset to watch it for myself! Needless to say, I was not disappointed! I removed my headset and yelled “TO BE CONTINUE?! WHAT THE HELL? !” which has got to be the biggest compliment to Jon and his team. They sucked me in for that 30-40 minutes and didn’t let me go. Jon’s unique vision and incredible storytelling lend themselves to creating visual content for a platform such as VR. Even forgetting at times that I had the headset on! To me, this is a step in the right direction in the world of VR and sets the standard in which all will follow. Jon and his team are on the cutting edge of narrative storytelling in VR. 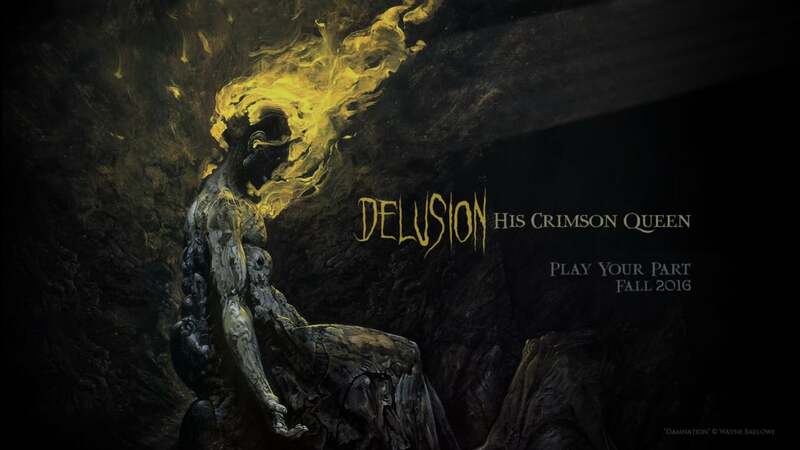 With it’s high production value, wonderful acting and story that will keep you on the edge of your seat; Delusion’s VR Cinematic Series is here to stay. Lucky for us, we were able to sit down with Jon for a brief moment to talk about the work he has done on Lies Within. Click the video below to have a listen! I simply cannot wait to see Season 02 of Lies Within! If you ever have the opportunity to experience it, DO IT! It’s a unique, one of a kind experience that only Jon and his team at Delusion can create. Do not miss out on Jon’s next incredible play, The Blue Blade! Head over to EnterDelusion.com to buy your tickets and become part of the story!